FREDERICTON - Members of the Union of Canadian Transportation Employees (UCTE) Local 60601 who work at the Fredericton Airport are inviting members of the public to join them for a Not-so-happy-Anniversary party today. "Sadly, we are entering a new phase of this labour dispute. This week marks the third year that this local has been without a contract. Ironically, it falls in the same week as May Day, International Worker's Day," said Jeannie Baldwin, Regional Executive Vice-President. Strikers will hold a tailgate party in front of the Fredericton Airport commencing at 9:30 am, where they will host a barbeque with a sad clown to highlight the somber mood of the event. The event is expected to wrap up at noon. Local 60601 members provide operational services, including runway clearing, buildings and equipment maintenance, fire, security and emergency services, as well as administrative and billing services. 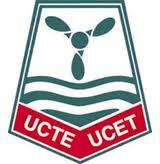 The UCTE is a component of the Public Service Alliance of Canada (PSAC), a national union with over 180,000 members.